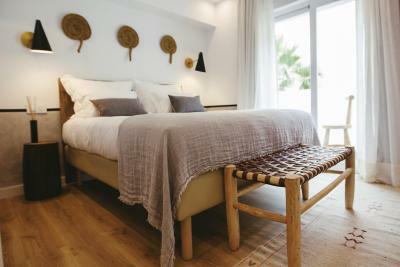 Lock in a great price for Mikasa Boutique Hotel Ibiza * ADULTS ONLY – rated 9 by recent guests! We only ate breakfast in the restaurant, so cannot comment on other meals. The rooms were wonderfully clean and comfortable, not to mention really efficient. Our room was on the Eastern side, which made for bright mornings (we love that). The staff was super accommodating to help us enjoy our visit to the island. It was handy to be able to rent a car directly from the hotel lobby, within minutes! It felt like we were at home! Dan was extremely accommodating from the minute we checked in and Natasha was super hospitable as well. We had such a nice time, Mikasa was the perfect place to come back to. And the food was exceptional - any time of the day. Sara the owner and the staff in general! All so helpful and nice. Their avocado toast are amazingly yummy. We cannot wait to come back ! Great hotel, friendly staff. We had the best time! - Incredible breakfast in the morning. - Great staff, very polite and helpful. - We needed to rent a motorbike and they made it all easy. - The spa is great, it has two saunas a tinny pool and ice. - The place feels clean, new, tidy, and stylish. - They provide you with everything you need. - Great location in the center of the town. - Great restaurants in front of and around the hotel. Friendly staff. Well appointed design forward rooms. Small private terrace connected to room. 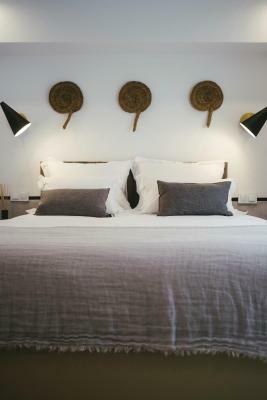 Located in front of the Marina Botafoch, Mikasa Boutique Hotel Ibiza offers wonderful views of the sea and old town. Talamanca Beach is just 5 minutes’ walk away. Free WiFi is provided throughout the property. 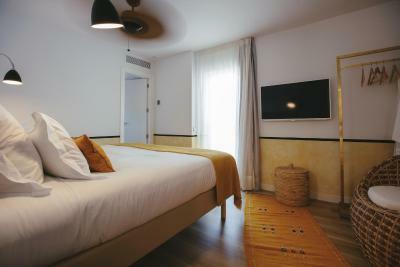 The air-conditioned rooms in Mikasa Boutique Hotel Ibiza are all decorated in modern style and have flat-screen LED TV. 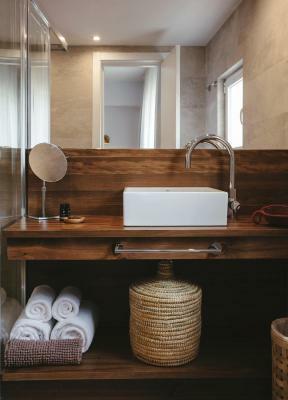 The stylish bathrooms have exclusive products, and the hotel supplies free beach towels and bags. This hotel offers free parking can be found nearby. The property's terrace bar and restaurant serves Mediterranean and international dishes. 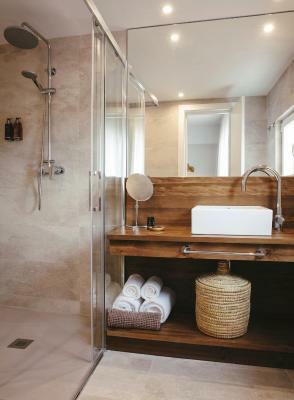 Guests can take advantage of a courtesy room with showers after late check-out. 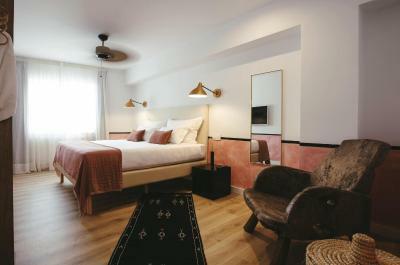 Mikasa Boutique Hotel Ibiza is located in a quiet area in Ibiza Town. Public parking is available nearby, and the nearest bus stop is about 150 feet away. The hotel offers bicycle rental, car rental and shuttle services. At reception staff can help you with information on activities in the area. This property is also rated for the best value in Ibiza Town! Guests are getting more for their money when compared to other properties in this city. 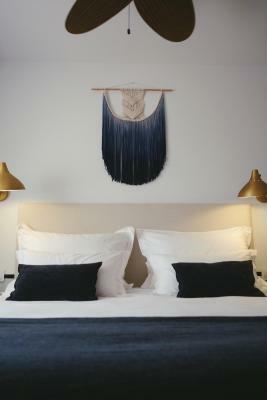 When would you like to stay at Mikasa Boutique Hotel Ibiza * ADULTS ONLY? 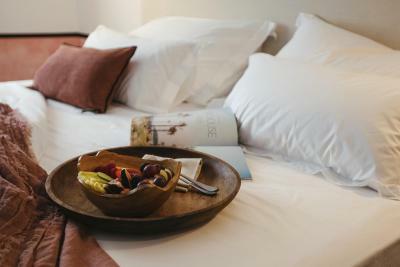 This room offers 1 large double bed, and a private bathroom with free toiletries, rain shower and hairdryer. There is a safe and a flat-screen satellite TV, heating, air conditioning and a fan in the ceiling. It offers free WiFi and garden views. Featuring a balcony with side sea views, this superior room offers a safe and a flat-screen satellite TV, heating, air conditioning and a fan in the ceiling. The private bathroom comes with free toiletries, rain shower and a hairdryer. 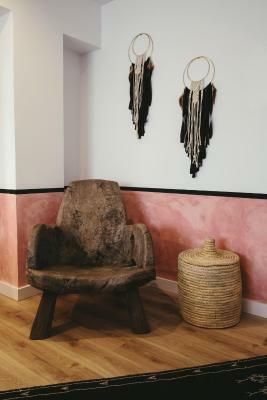 House Rules Mikasa Boutique Hotel Ibiza * ADULTS ONLY takes special requests – add in the next step! 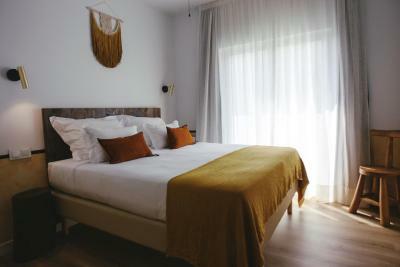 Mikasa Boutique Hotel Ibiza * ADULTS ONLY accepts these cards and reserves the right to temporarily hold an amount prior to arrival. 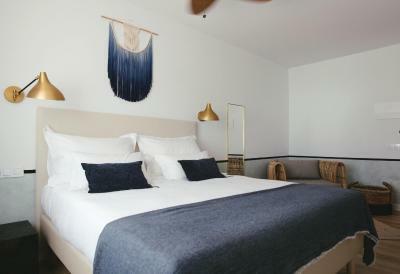 Please note that the Mikasa Boutique Hotel Ibiza is a 2-story building without a elevator. Please note that early departure carries a surcharge in the amount of one night. One of the most picturesque neighborhoods in Ibiza Town! We booked the breakfast before our stay but when we arrived, it was unclear what Had Been included. In the end it was only a french breakfast. Our room was very small. Our room was adjacent to the public terrace, which, had it been during season, would have made that room a nightmare (we are an older couple - singles might likely feel quite differently). Bathroom was smaller than expected (for 2 ppl) but we managed fine. It was extremely clean and brand new so that was more important to me. Maybe the rooms are a little small and a little refrigerator would have been easy. - The wifi was a little slow. It worked inside the hotel, but outside not as much. And you have to re-sign every time you came back to the hotel. 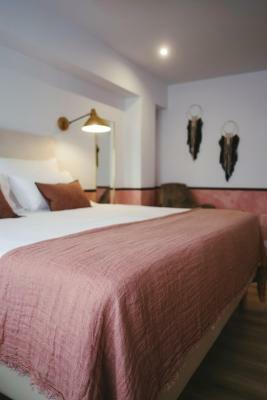 A great little hotel that recently has been renovated. Perfect stay for a few days. 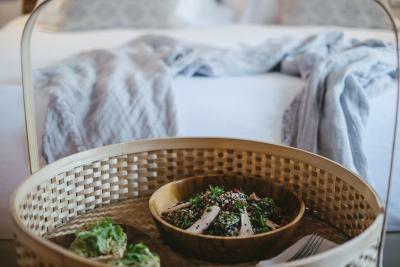 Clean rooms, great food at the restaurant.